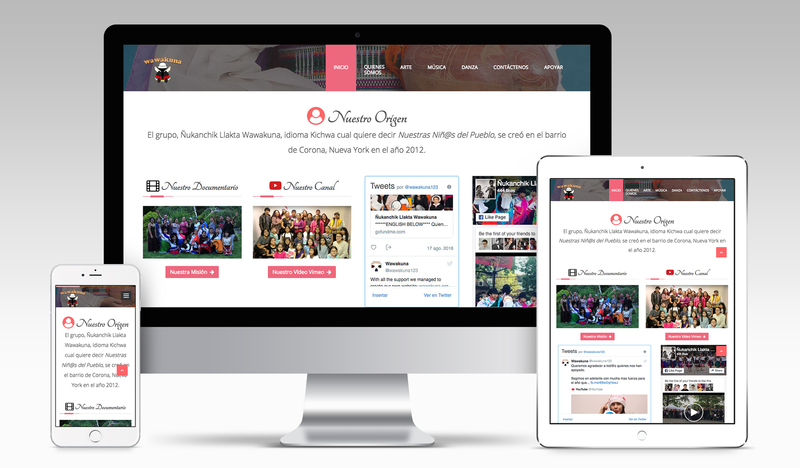 The objective was to bring to life a community organization&apos;s presence with a fully functional website. 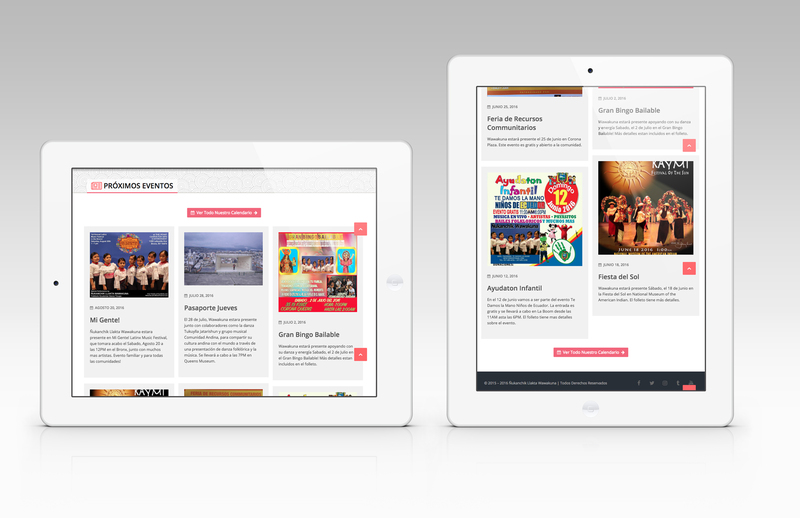 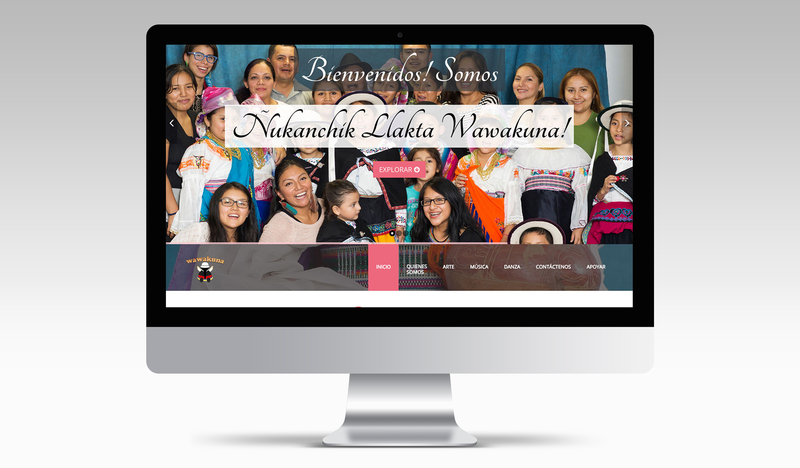 Presented in two main languages, English and Spanish, the website is fully operational and present&apos;s Ñukanchik Llakta Wawakuna&apos;s ongoing mission in New York as an indigenous group that builds individual identities through its cultural activities and presentations as well as through cooperation with other local organizations. 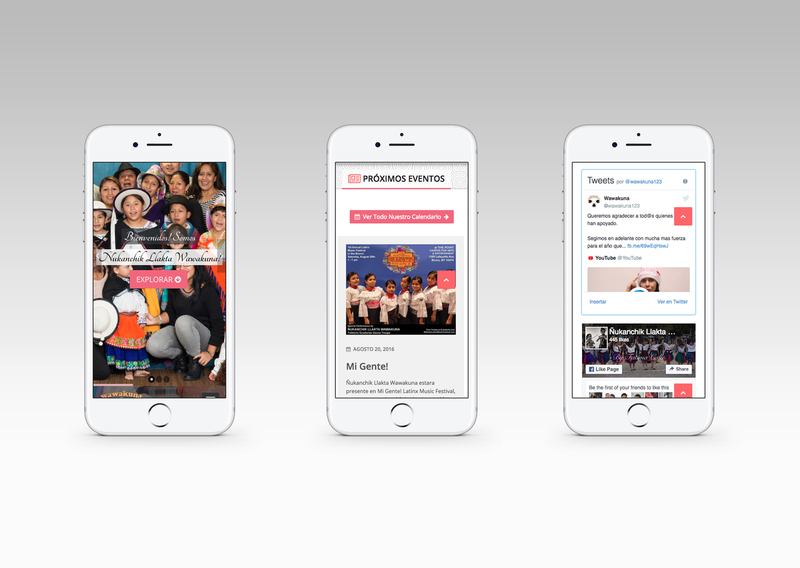 Across all available pages Ñukanchik Llakta Wawakuna&apos;s social media presence is implemented as well as fully functional galleries that showcase some of the group&apos;s notable events throughout the years of its existence. 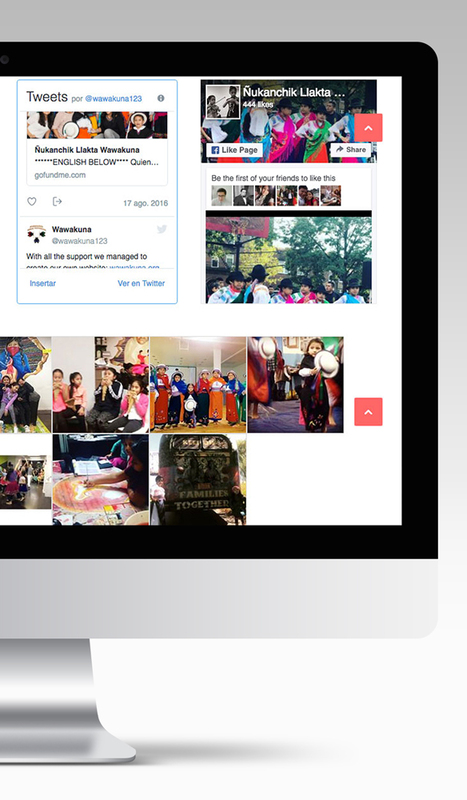 The website overall follows a responsive structure with various breakpoints that allow all facets to either resize or shift location to provide a smooth, organized display of content.